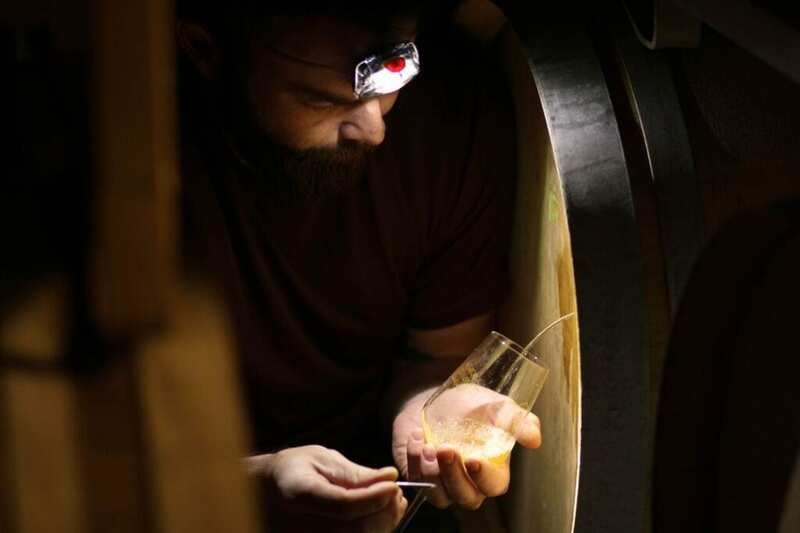 Creature Comforts’ wood cellar and specialty brand manager Blake Tyers tests one of the house mixed-culture fermentation beers. Break a down beer to its essential components—barley, hops, water and yeast—and it’s easy to see how tiny variations in each can alter the flavor of a finished brew. In the case of yeast, a single strain is all it takes to transform barley and hops into beer, and most traditional recipes are made with yeasts cultivated in labs that can help brewers achieve predictable results.